I wouldn’t necessarily call myself a romantic. My ideal day out with my girlfriend involves a nice meal out at somewhere like Las Iguanas washed down about 10 pints in The Grapes. In the UK that’s just about as romantic as I get. However Harry on the other hand is quite the tender hearted prince. Then again I’d probably be a tad more lovey dovey if I was the bloody prince. At their wedding, which happened today, in case you missed it, Meghan Markle, the new Duchess, had a veil of 53 flowers, representing the 53 states of the Commonwealth. There was music from Diana’s funeral and a booming gospel choir. Like Diana, Meghan refused to ‘obey’ her new husband – and walked down most of the aisle alone to a rendition of Etta James’s Amen/This Little Light of Mine, reports the Mirror. However Harry’s romantic side was exposed when it was revealed that in the bouquet of flowers Meghan clasped between her finger there was a selection of flowers handpicked by the Prince himself. 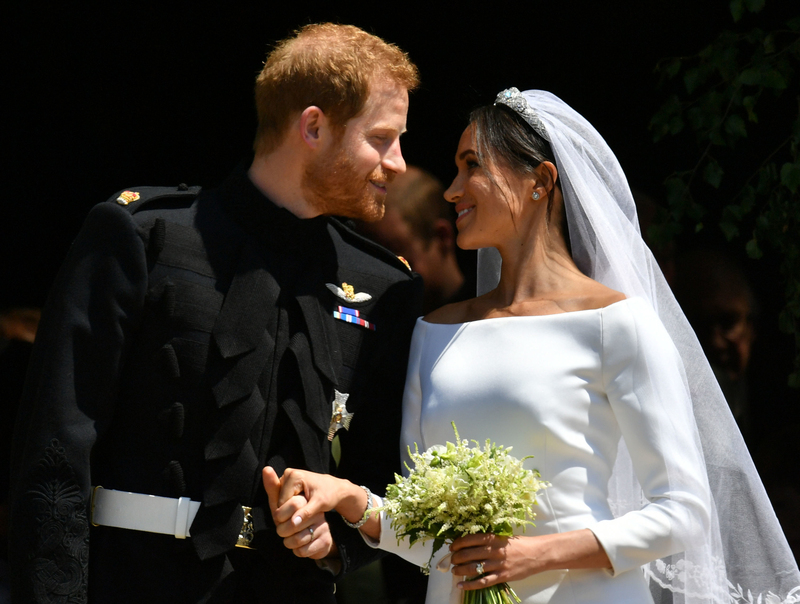 Prince Harry handpicked several flowers yesterday from their private garden at Kensington Palace to add to the bespoke bridal bouquet designed by florist Philippa Craddock. The spring blooms include Forget-Me-Nots which were Diana, Princess of Wales’ favourite flower. The couple specifically chose them to be included in Ms. Markle’s bouquet to honour the memory of the late Princess on this special day. On their special day, as Harry stood at the altar waiting for his wife-to-be to join him, he looked totally bewildered. When she came to his side, just what did he say? ‘You look amazing’. Just beautiful isn’t it? Brings a tear to my weary eyes. Harry’s reaction to his bride walking down the aisle was a truly breathtaking moment. 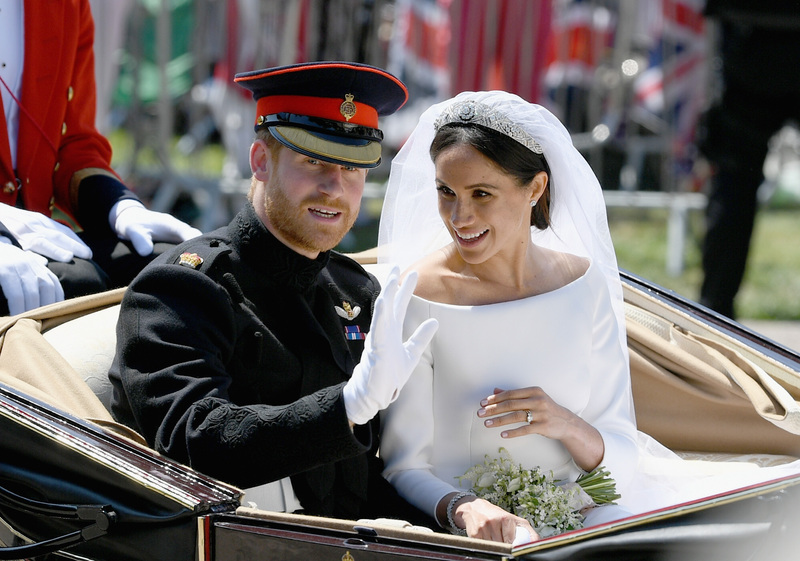 The two were pronounced husband and wife at St. George’s Chapel in Windsor Castle in front of family and friends, including The Queen, Prince Phillip, Prince Charles and Camilla Parker-Bowles and co-stars of the show Suits. The ceremony was officiated by the Dean of Windsor David Conner and the Arch Bishop of Canterbury, Justin Welby, who performed the newlywed’s vows. 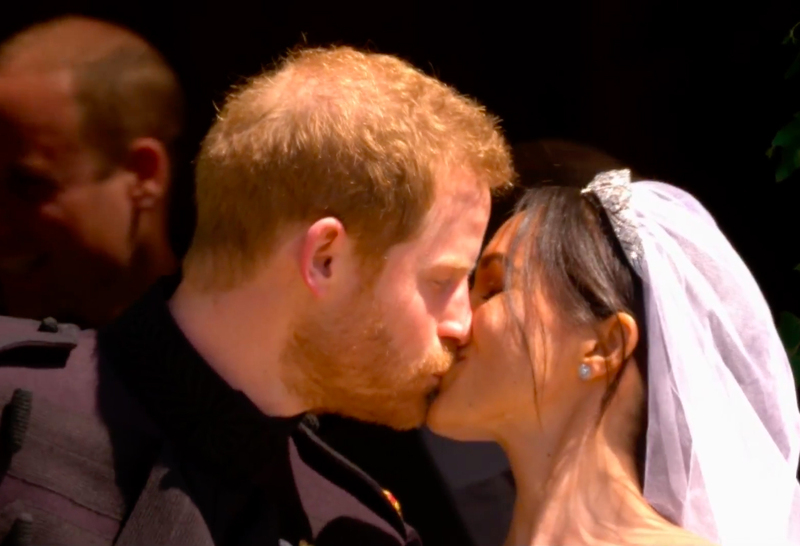 After being declared husband and Wife Prince Harry and Meghan shared their first kiss in public as newlyweds for the whole world to see. At beginning of the ceremony, Meghan was walked down the aisle by Prince Charles after her father Thomas Markle was forced to pull out due to last minute heart surgery this week. On the morning of the wedding, Meghan’s mother, Doria Ragland, accompanied her daughter to Windsor Castle with select members of the wedding party.